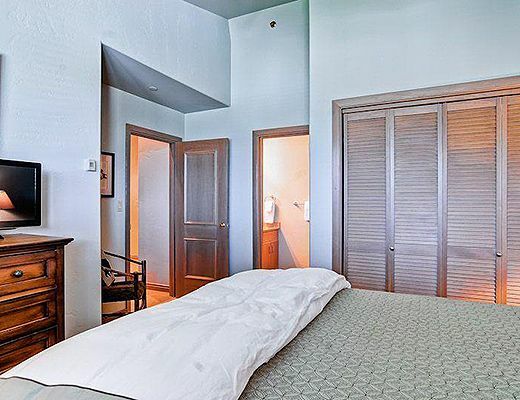 The unique layout of this fifth floor, corner, three-bedroom, four-bath residence provides guests extra space to relax. 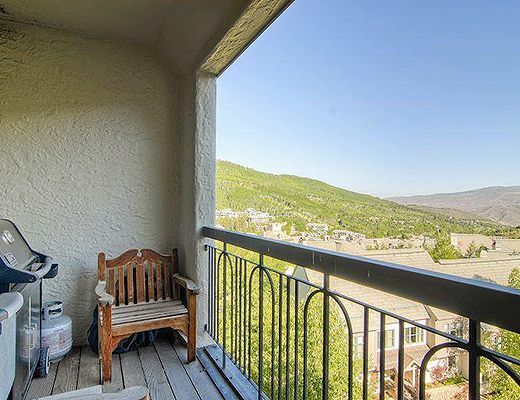 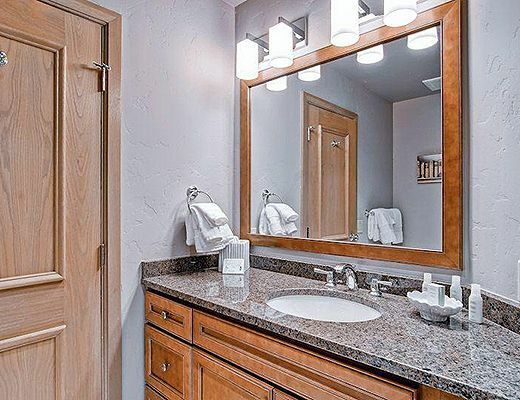 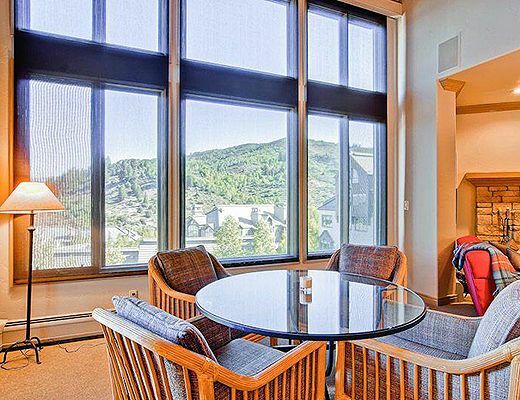 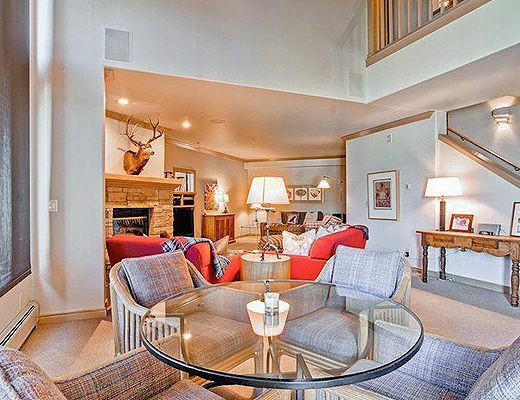 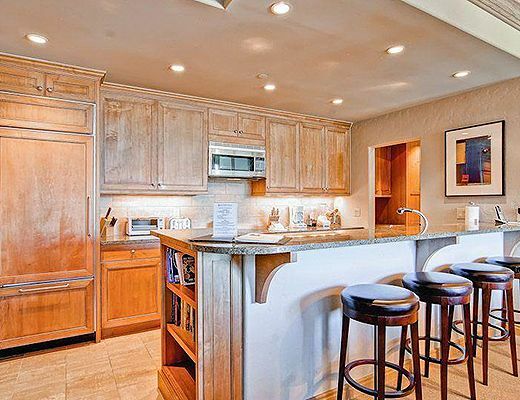 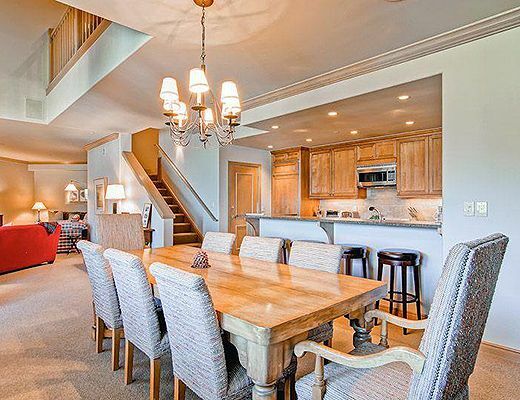 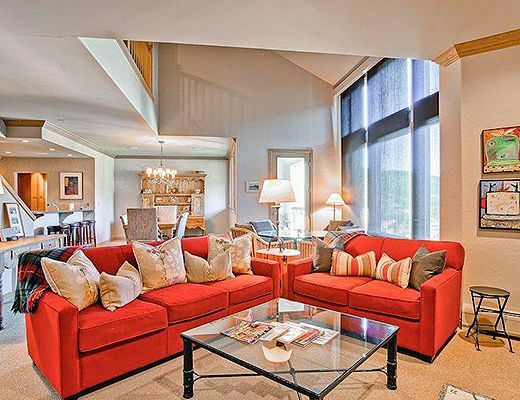 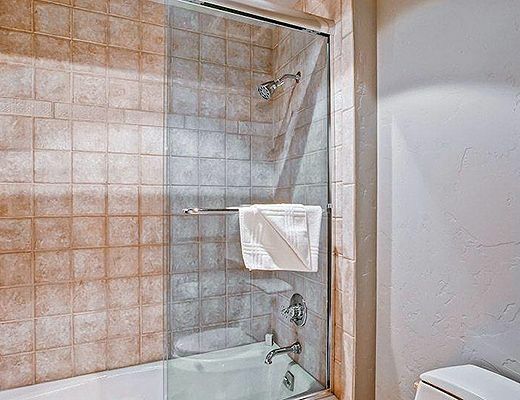 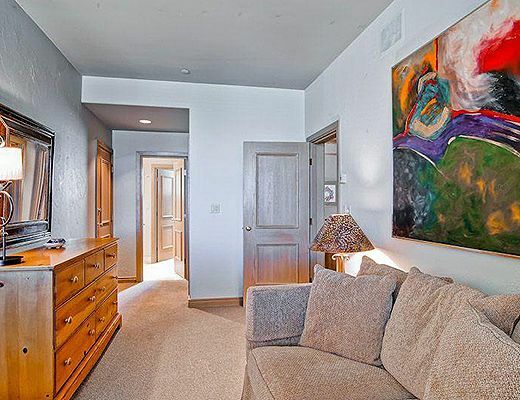 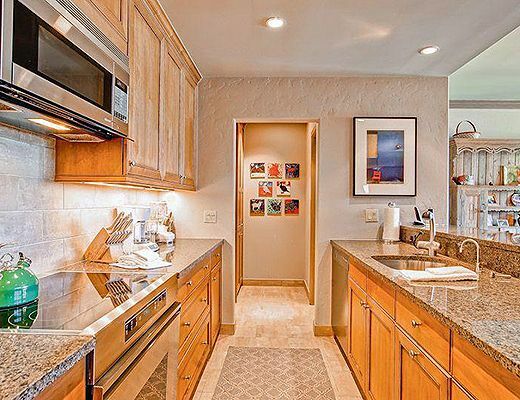 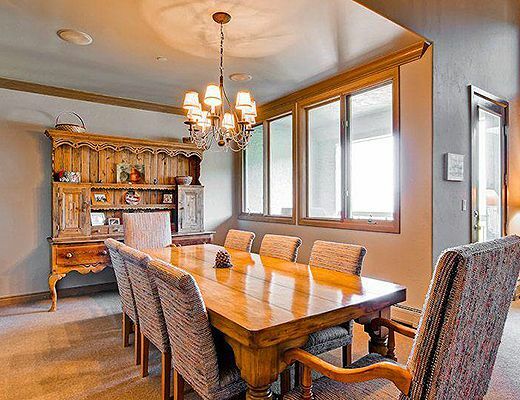 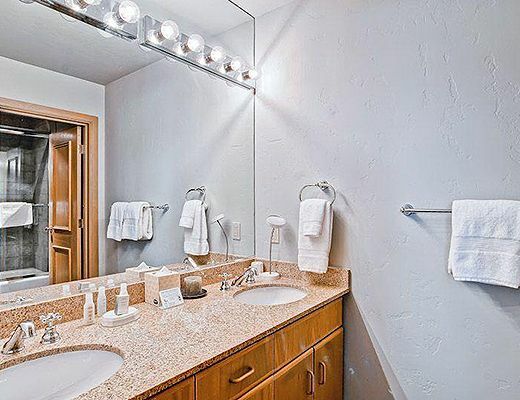 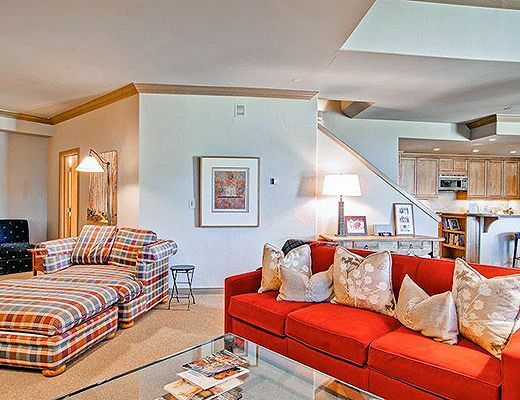 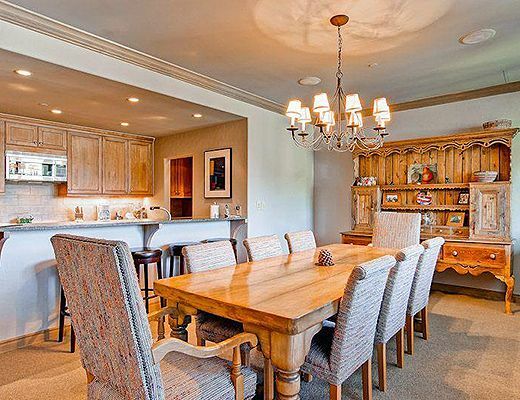 Enjoy spectacular views down the valley and of the Elkhorn section of Beaver Creek Mountain from every room. 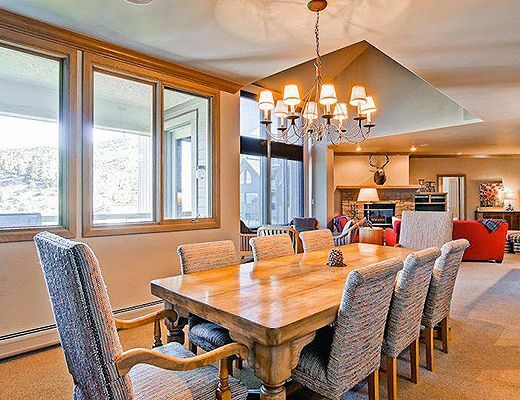 The welcoming great room, decorated with a comfortable elegance, has vaulted ceilings and a kitchen featuring granite countertops and stainless appliances. 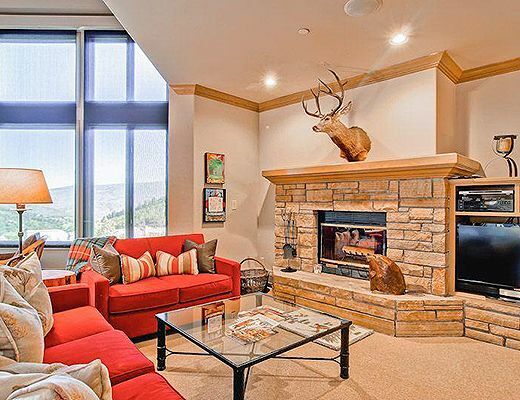 Cozy up around the fireplace or enjoy the views while playing cards at the game table in the additional sitting area. 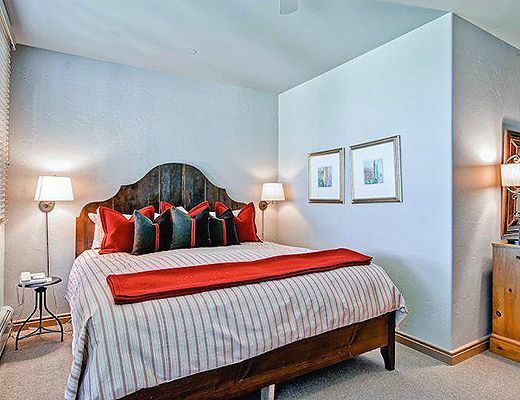 The master bedroom, just off the living room, features a king-sized bed, sitting area and upgraded en suite bath with separate shower and soaking tub. 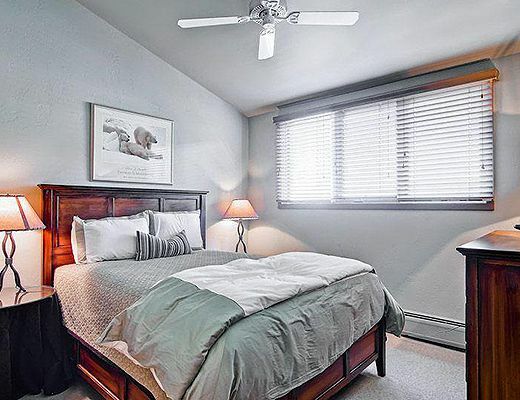 Both bedrooms upstairs off the entry feature upgraded en suite baths and vaulted ceilings. 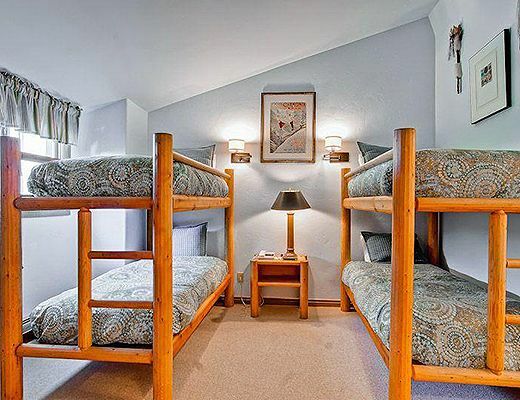 The first bedroom is perfect for kids with two twin bunk beds. 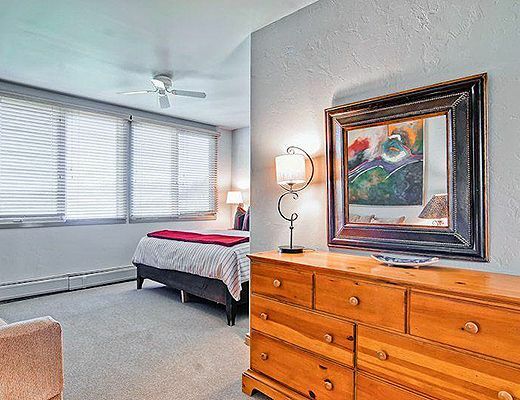 The second bedroom has a queen-sized bed. 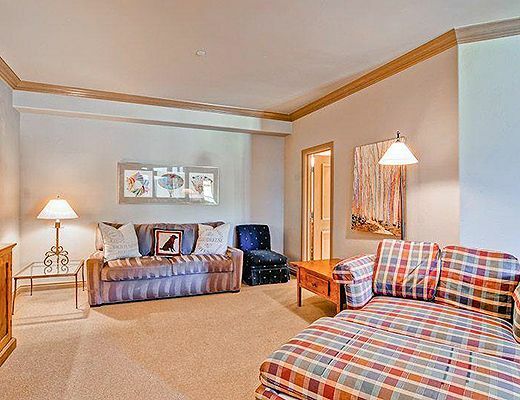 The living room sofa can convert into a queen-sized bed to accommodate extra guests, who can use the full bathroom off the living room. 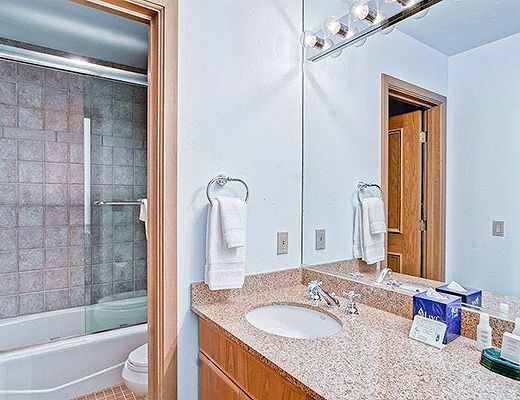 Your ski access for the residence is directly from the ski locker room on the first floor to the slopes of Beaver Creek Resort.